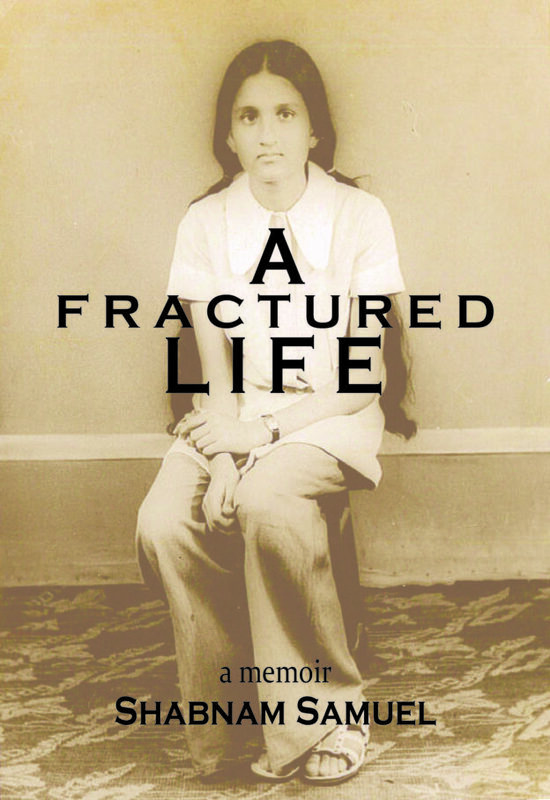 Abandoned by her parents as a three-year-old, and ultimately leaving her home country India for a new life in America as a young mother of a three-year-old son, this is not only an immigrant’s story, but a poignant and powerful memoir that is at first, one of sadness and continuing adversity, but ultimately one of strength, purpose, and the universal triumph of hope. It is a story of dislocation, disruption, and despair, and brings focus to the silencing of girlhood and womanhood and how with time, love, and support we can work our way out of that silence. Raised by an orphan of the Russian Revolution and an Indian Sepoy who, during WWI was stationed in Iraq (Mesopotamia), her story arc begins in a small town called Cuttack in the East of India and takes her to the capital of the most powerful nation in the world, Washington DC. It is a humanizing story of mixed races, religion, and continents. Shabnam Samuel was twenty seven when she moved to the US, carrying with her a troubled marriage, an almost estranged husband, and a three-year-old son. Hoping to create a fresh start from everything that was holding her down, it took Shabnam twenty-five years of trials and tribulations to finally find her voice, her strength, and her place in this world. Shabnam Samuel is a writer, coach, social media trainer, and the founder of the Panchgani Writers’ Retreat (www.panchganiwritersretreat.com), an international writing retreat based out of Panchgani, India. The retreat incorporates mindful living along with creativity and wellness following Ayurveda principles, with yoga, meditation and writing workshops. As a writer, Shabnam has been writing ever since she can remember. Her essays have been published online in Brain Child Magazine and Your Tango. Shabnam also hosts a local TV show called Dew Drops and Words that broadcasts to 2.4 million viewers on the MHz network in the Washington, DC area. You can find her on YouTube under the name ‘Dew Drops and Words’. 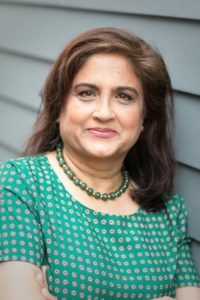 Shabnam is also a business coach and she mentors with the Empowered Women International in Alexandria, Virginia, an organization that helps train low-income, immigrant, and refugee women on how to be a successful entrepreneurs. When in India, Shabnam helps with the running of a local women’s artisan village outside Panchgani in India. Shabnam is married and has a grown-up son. She has lived inside the beltway near Washington, DC for the last 30 years. Advance Reader Copies, digital or print, available in May 2018.